SUN ENERGY SOLUTION SUN ENERGY SOLUTION offers you a UNIQUE OPPORTUNITY. You have the ability to test your photovoltaic modules completely at extremely low prices. Household Photovoltaics up to 10 KW, in the amount of 50 €. Photovoltaic Parks up to 100 KW, in the amount of 150 €. Photovoltaic Parks up to 150 KW, in the amount of 200 €. Photovoltaic Parks up to 500 KW, in the amount of 400 €. Photovoltaic Parks up to 1.000 KW, in the amount of 600 €. Taking thermography pictures on all PV Panels of the Plant. Measurement of Insulation Resistance of the Photovoltaic strings. Measurement & Display of the Current / Voltage (I / V) curve & the Voltage / Voltage (P / V) curve. Determining the Actual Performance ratio of PV Modules. 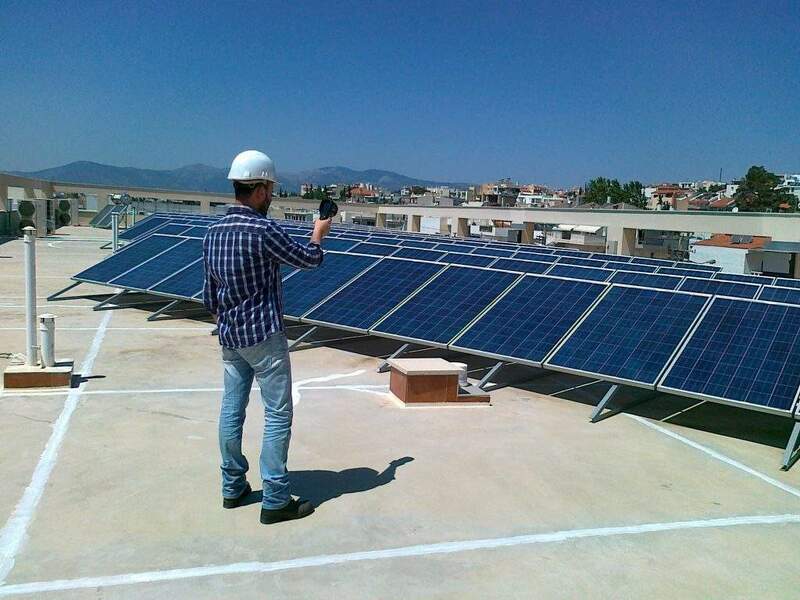 COMPLETE testing of all electrical parts of the Photovoltaic Panels that thermographically DO INDICATE problems. Taking thermography pictures for the entire installation and a Drawing a report for all the collected Thermography Data. 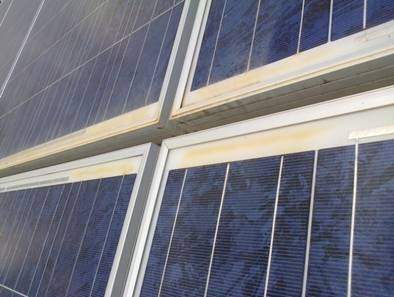 Corrosion in overlay and insulation strips of cells contacts due to overheating of PV panels. Visible damage in the EVA coating of panels with simultaneous reductions of their performance. Diode failure on photovoltaic panels. I / V chart shifting. Hot spot effect on photovoltaic panels. I / V chart shifting. An electronic file with the total of thermography results of the photovoltaic panels together with corresponding photographic material. In both electronic and hardcopy form, the measured electrical characteristics of your photovoltaic panels, the performance of the panels at the time of measurement, as well as the DEVIATION of the performance of the panels from the manufacturer's stated performance. In both electronic and hardcopy form, all thermographies, photographic material and electrical measurements of Photovoltaic Panels that appeared problems at the measurements. 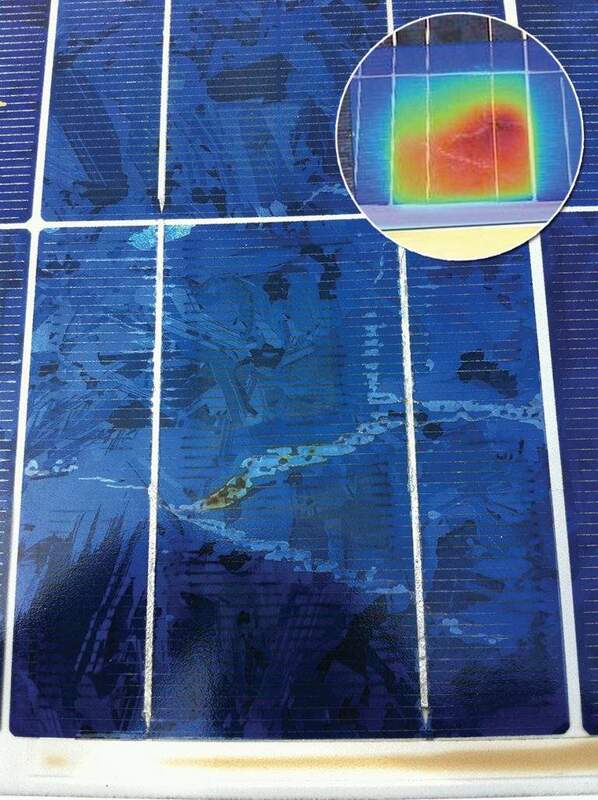 REPORT of the thermography data and conclusions for the actual functional condition of your photovoltaic panels. The above amounts do not include VAT (24% or 17%) or travel expenses outside the Attica Basin which are calculated at 0.25€ per kilometer. However, we can achieve to lower significantly the travel costs if the scheduled works can be carried out in conjunction with other nearby installations.